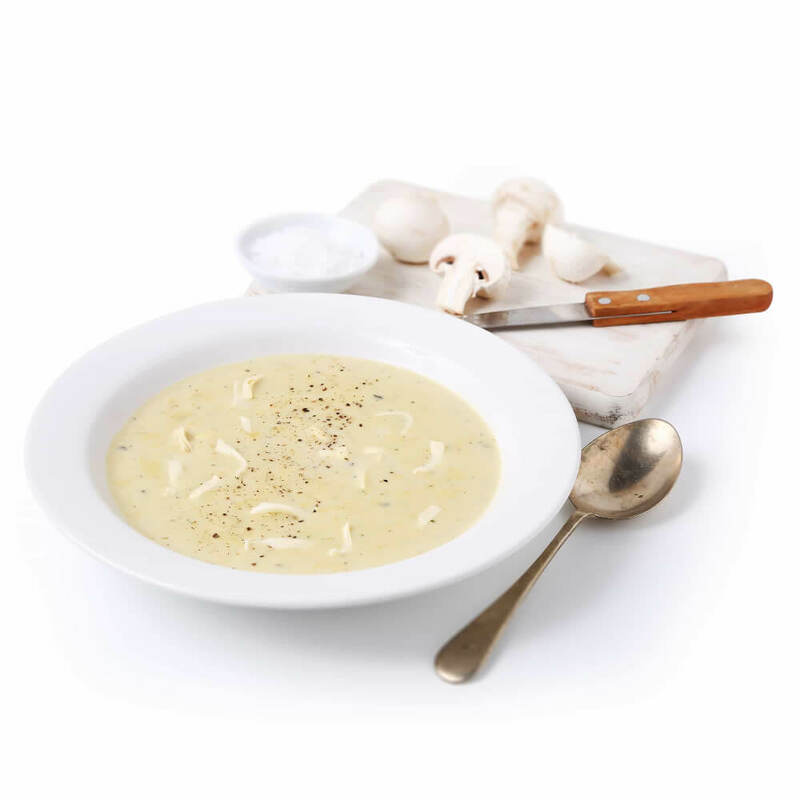 Delicious chunks of pasta in a moreish ham and mushroom flavoured soup. 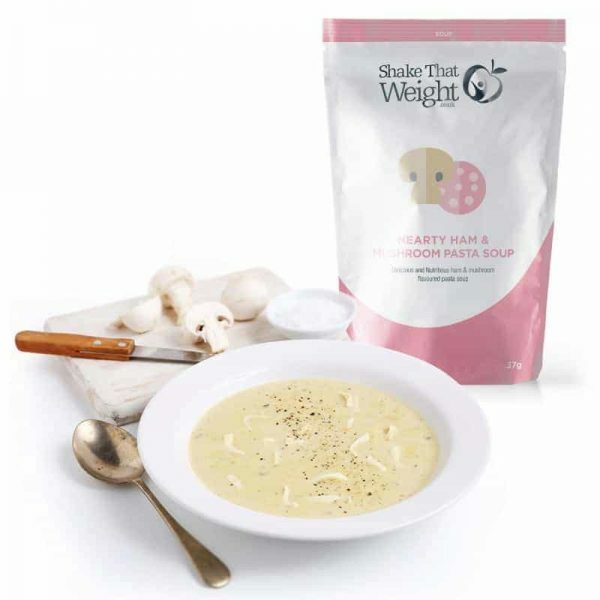 A delightfully light blend of pasta in a mushroom and ham flavoured soup with a hint of powdered spices. All combined with the fortified nutrition Shake That Weight is known for, to give you 25% of your RDA of vitamins and minerals. 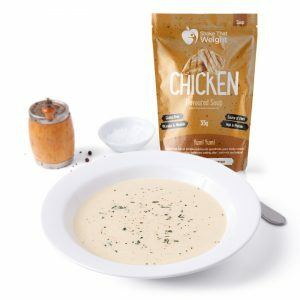 Quick and easy to prepare in just a few minutes, our soups are perfect for lunches at work or as an evening meal – and don’t forget you can add in a pinch of salt and pepper to season, or even some dried herbs to add an extra bit of flavour – who said it had to be boring?! We add no MSG or other artificial flavourings. If you would prefer a stronger flavour please season to personal taste with salt and pepper or add a small amount of a stock cube/stock powder. They can also be spiced up with the addition of chilli powder, paprika or by adding a few dried herbs. The choice is yours! 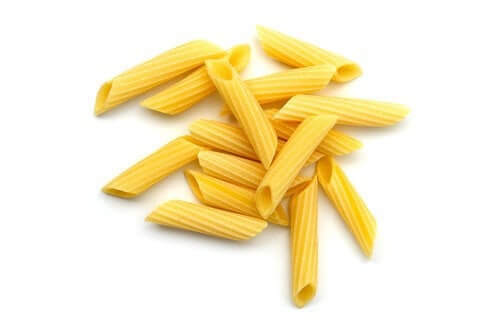 Egg noodles (26,4 %) (durum flour (gluten) ; water ; dried yolk (egg) ; niacin ; ferrous sulfate ; thiamine mononitrate ; riboflavin ; folic acid) ; vegetable protein (soy) ; vegetables fat preparation (soybean oil and refined palm oil ; glucose syrup ; maltodextrin ; milk protein ; emulsifier : soy lecithin; stabilizer : pentasodium triphosphate ; antioxidants : ascorbyle palmitate, alpha tocopherols ;anticaking agent : silicon dioxide) ; skim milk powder ; acidity regulators : potassium chloride, potassium citrate, magnesium oxide ; oligofructose (chicory root extract) ; flavours (milk, gluten, mustard) ; maltodextrin ; onion powder ; dried mushroom ; vitamin and mineral blend (dicalcium phosphate, ascorbic acid, ferric pyrophosphate, niacinamide, zinc oxide, vitamin E as acetate, copper gluconate, sodium fluoride, calcium pantothenate, manganese sulfate, pyridoxine hydrochloride, riboflavin, thiamine hydrochloride, vitamin A as acetate, folic acid, chromium chloride, potassium iodide, sodium selenite, biotin, cholecalciferol, cyanocobalamin, potassium citrate) ; stabilisers : magnesium phosphate, tricalcium phosphate ; yeast extract ; hydrolyzed vegetable protein (gluten) ; salt (salt, smoke flavouring) ; thickener : xanthan gum ; emulsifier : soy lecithin ;spice ; parsley ; antioxidant : tocopherols ; color : turmeric. 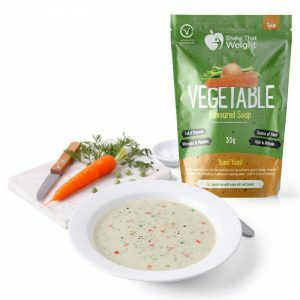 Delicious vegetable medley soup made with asparagus, leek, spinach, carrot, garlic.